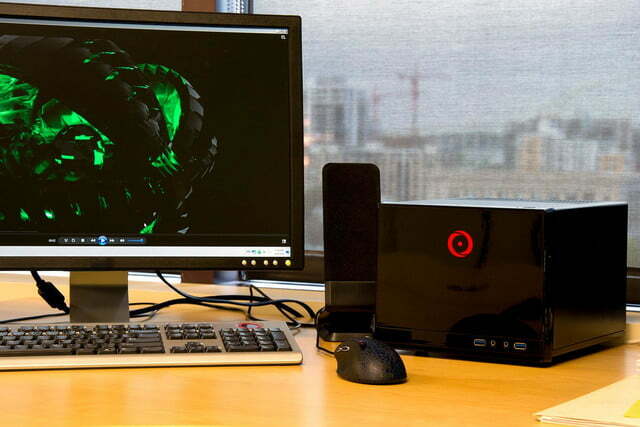 The Chronos won’t win a beauty contest, but its performance is sure to woo gamers. 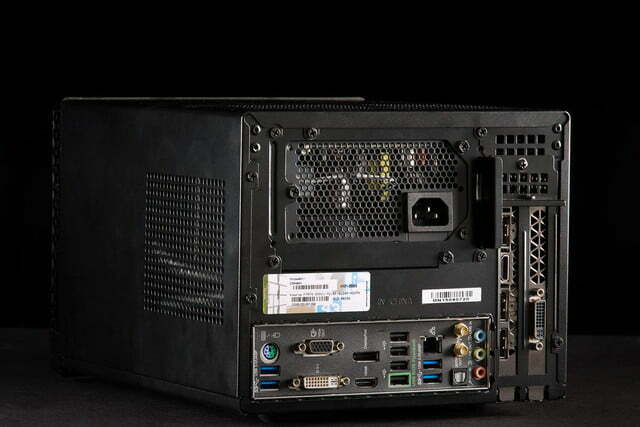 Small computers are a big deal, and becoming bigger as they become smaller. There’s now a lot of options to choose from. Most sacrifice case configurability in favor of a streamlined enclosure, but not everyone takes that route, as the Origin Chronos proves. 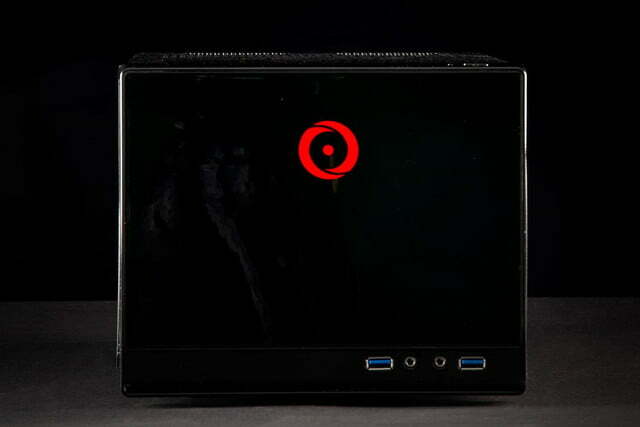 In truth, the Chronos is more of a model line a than one particular computer. Six different cases are available at the time of this writing, each offering a slightly different form factor. They share hardware, though, and most fit into a similar (extremely compact) footprint. While a small form-factor system is never going to match a tower desktop in performance potential, Origin’s tiny towers make no excuses. Prices start at about a grand for a basic configuration but our review unit, with Intel Core i7-4970K processor, Nvidia GTX Titan graphics card and 16GB of RAM rang up to $3,699. That’s a lot of money, but it’s also some serious hardware, and the Titan may be particularly well suited for this kind of small form factor design. Let’s see if the Chronos is worth your time. Our review unit arrived in the Silverstone SG13 enclosure, the latest in a long-running line of small-form-factor PC cases. Silverstone’s efforts have always been among the best in the category, though not the flashiest, and the SG13 is no different from the rest. Measuring a foot deep, seven inches tall and a bit less than nine inches wide, the system is barely larger than a typical shoebox. Origin’s style, or lack thereof, is underwhelming at this price. Its small size makes the Chronos easy to miss on or under a desk, and Origin hasn’t endowed the system with anything that would attract extra attention. Our model has no LED lighting, no huge logo, no unusual features. These traits are divisive. Some will appreciate this subtle approach, but others may wonder what their money went towards. Connectivity is modest. 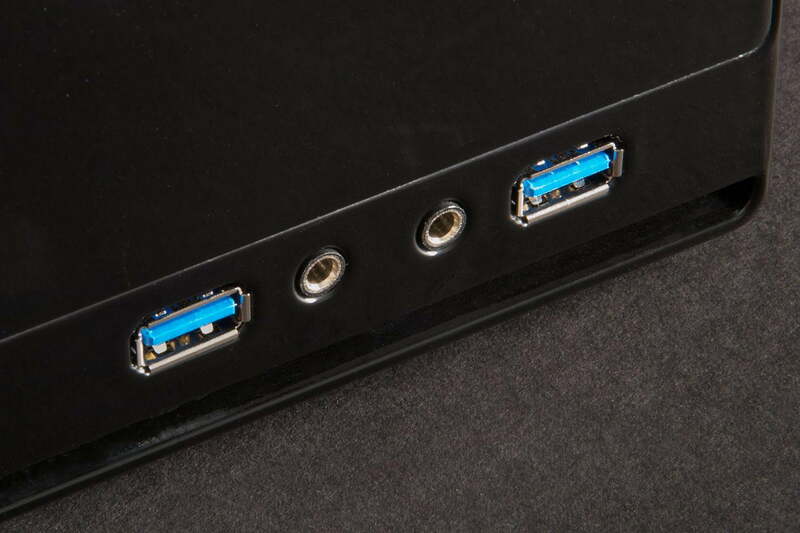 At the front there’s two USB 3.0 ports along with a headphone and microphone jack. Our review unit, with an Asus Z97I-Plus motherboard, included eight more USB ports around back, four of which were 3.0. Also included was 5.1 audio, three DisplayPorts, one DVI and one HDMI, courtesy of the Titan X. Wireless options included 802.11ac Wi-Fi and Bluetooth. 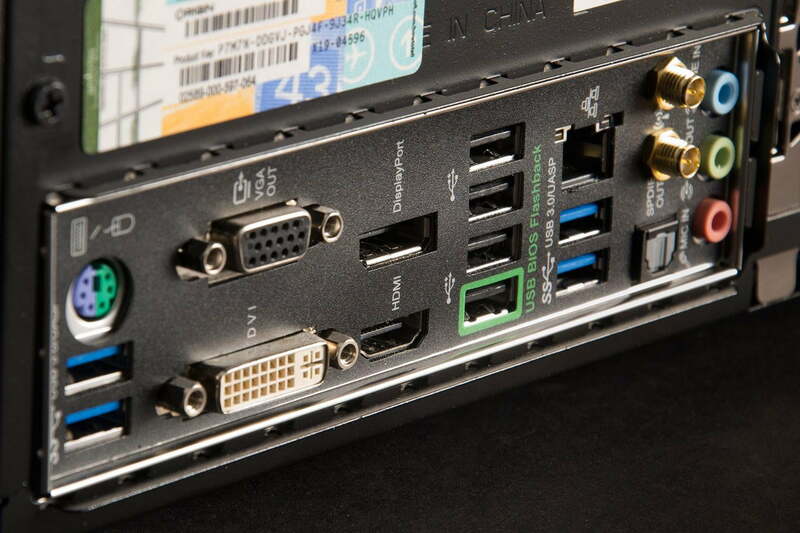 Of course, ports will vary based on motherboard, and two other boards are available with this system. 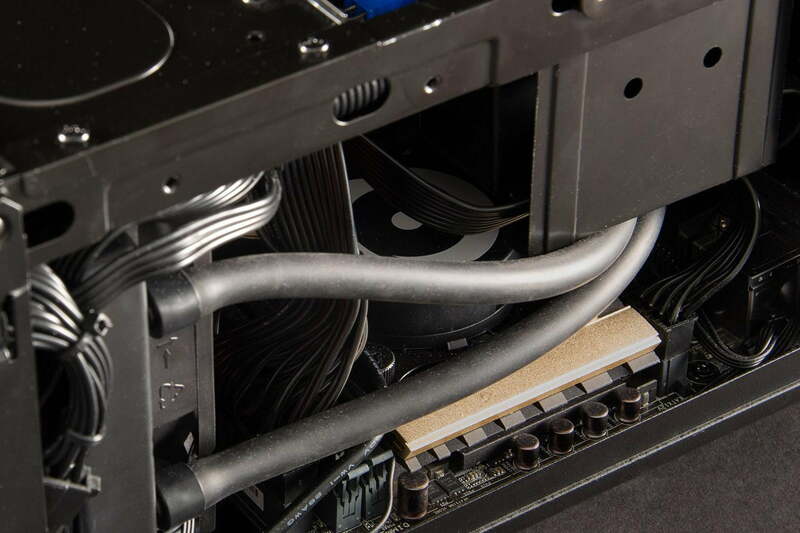 Our review unit’s tight dimensions lead to issues when it comes time to replace hardware, but the Silverstone case does its best to minimize the inevitable. The top and both sides of the enclosure are removed at once by pulling a panel upwards once a few screws have been removed, providing quick access to the internals. Once inside, a puzzle presents itself. 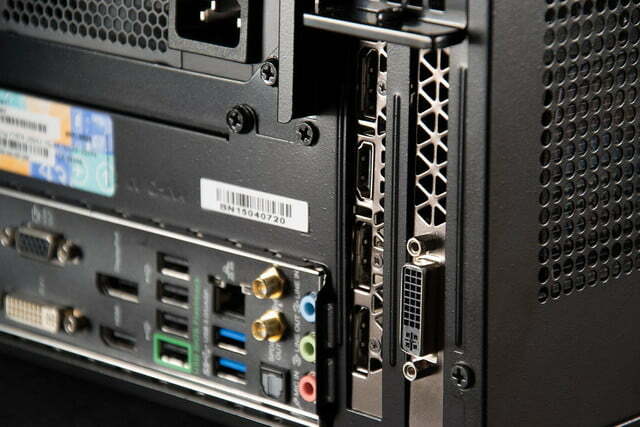 Nothing can be accessed without first removing the top hard drive bay, which is secured by four screws. That removed, the video card is the next logical area to tackle, though the power supply might be taken out if you only need access to memory. A sizable cooler in the front takes up substantial room, and eats up a lot of the room available to work with. Changing the processor would be a serious chore, as it’s only possible by fully removing the motherboard itself. There’s also no real room to upgrade. In our review model both available hard drive bays were taken up, and the motherboard’s lone PCI Express 3.0 x16 slot was consumed by the Titan X. Parts could be replaced, but adding new components would be out of the question. On the positive, the lack of upgrade options makes the layout easier to understand that it looks at first glance. There’s really just one way, and one place, to install most everything. The challenge isn’t figuring out where hardware should go, but how to properly remove or replace it. Enthusiasts will some previous experience inside a PC should quickly become familiar. Origin shipped us an Intel Core i7-4790K processor liquid-cooled and overclocked to 4.7GHz, a substantial improvement over the base clock speed of 4GHz. The result, of course, was strong Geekbench scores. These results are favorable for the Chronos, as it manages to tie the Falcon Northwest Tiki Z, its most obvious and often slightly more expensive competitor. Obviously, the Origin blows away the rest of the pack without issue, but that’s to be expected given that the Digital Storm Eclipse and Syber Vapor start below $1,000. A variety of solid-state drives are available. Our system came with Samsung’s 850 Evo with a 1TB capacity, and it delivered respectable performance. We measured sequential read speeds of 528MB/s CrystalDiskMark, and 508MB/s in sequential writes. These numbers are good, but not outstanding; the Eclipse was barely slower, and the Falcon Northwest Tiki Z hit read speeds as high as 987MB/s with its RAID solid state drive configuration. Gaming is of course the focus of the Chronos, as made obvious by its ability to equip an Nvidia Titan X video card. We’ve reviewed the card separately, so we already knew it was going to perform well, and it did. The new Origin doesn’t quite win this battle, because the Tiki Z, true to its name, equipped the dual-GPU Titan Z. It’s still surprising to see how close it came to dethroning that tiny titan of gaming grunt. The Titan X is a single-chip card, yet it still manages to keep pace with two of what were, until recently, among the most powerful GPUs in the world. 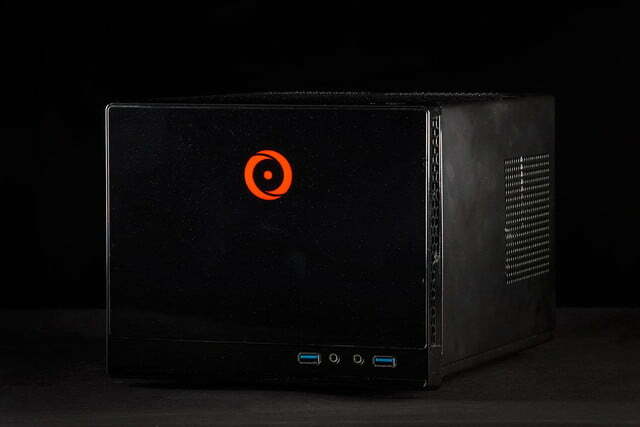 Origin shipped us the Chronos with a Titan X video card as a way of proving that such a small enclosure can, in fact, host the very latest in graphics technology. 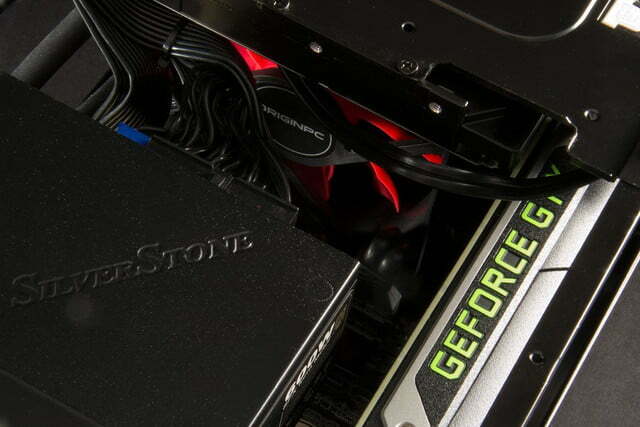 Predictably, the fastest single-GPU video card in the world delivered startling results, in some cases coming close to rigs we’ve tested with the GTX Titan Z. This aging action-RPG remains one of the most popular PC games, and it proved no challenge for the Chronos. At 1080p the system hit an average of 433 frames per second at maximum detail. 4K resolution seriously hampered the result, but the average was still an excellent 173 FPS. The Falcon Northwest Tiki Z, with its Titan Z video card, scored only slightly better at 186 FPS. Can it run Crysis? Yes, it can, even at 4K and near maximum detail. The late-game benchmark built into this turn-based strategy game is more difficult to run smoothly than its graphics fidelity suggests, but once again the Chronos passed with flying colors. At 1080p it managed 158 FPS at maximum settings, and at 4K the average was 74 FPS. Both results were, of course, quite playable. Interestingly, the Chronos managed to beat the Tiki Z, as the latter hit only 67 FPS. Epic in scale, but no longer the most demanding game awhile, DICE’s shooter was mostly conquered by the Titan. At 1080p and ultra detail we saw an average of 171 FPS. Turning the resolution up to 4K with the same settings lowered the average to 61 FPS. Once again the Chronos beat the Tiki Z and its Titan Z, which averaged only 48 FPS, a noticeable difference. This unexpected hit from 2014 can be extremely demanding because of its optional high-resolution texture package, which we installed. The Titan X has 12GB of memory though, so it powered through, hitting an average of 128 FPS at 1080p and maximum detail. At 4K the average was a still playable 53 FPS, and we saw no framerate drops that ruined gameplay. The new Titan X won over the Z, as the latter only hit 34 FPS at 4K and maximum detail. 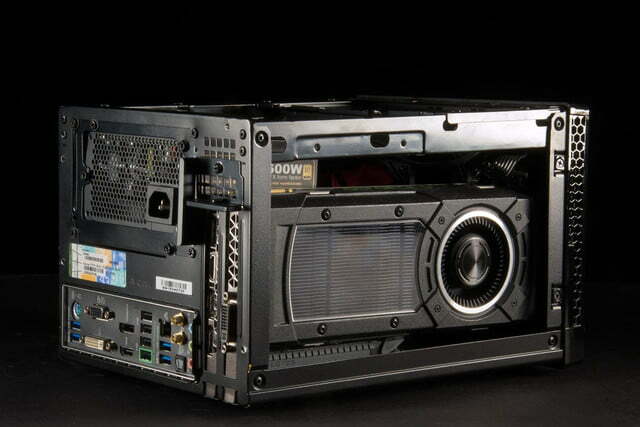 “Can it run Crysis?” is still the first question many gamers ask, and for good reason. The answer, in this case, is absolutely yes. At 1080p and absolute maximum detail the game hit 65 FPS. Turning resolution up to 4K unfortunately lowered the average to an unplayable 20 FPS, but turning anti-aliasing off (which has minimal impact on image quality at 4K resolution) can bring the average back up to 30. This is a game where the Tiki Z takes back its crown, though, as it nearly managed 30 FPS with AA enabled. 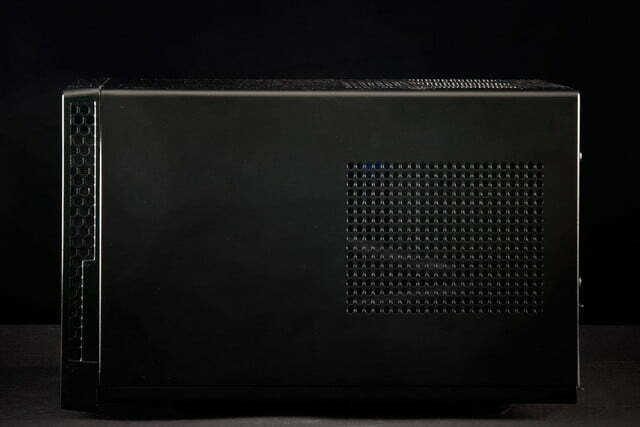 The Chronos with a Titan X beat every other small form factor gaming system in three of the give games we tested, and was only significantly behind the Titan Z-powered Tiki in Crysis 3 (in fairness to Falcon Northwest, the Tiki also has a Titan X configuration available). Amazing as it may seem, this tiny box can actual handle modern games at 4K resolution and maximum or near-maximum detail. Small systems always run the risk of turning into noise boxes, and the Origin’s lack of sound deadening makes it seem a prime candidate, but we found the system to be surprisingly quiet. It idled at about 37 decibels and reached a peak of 45dB at heavy load. This was made even more surprising by the system’s aggressive power draw. While its idle draw of 59 watts was less than ten watts more than the far less powerful Digital Storm Eclipse and far less than the Tiki Z’s 110 watts, at full load the Chronos needed 356 watts. That again is less than the Tiki Z’s 580 watts, but it’s more than most systems we test by a wide margin. This large monitor from Acer features G-sync for smooth gameplay and 4K resolution for incredibly sharp visuals. Keep in touch with your fellow gamers and enjoy astounding surround with Logitech’s top-tier wireless headset. Corsair’s mechanical gaming keyboards are equally at home writing emails or helping your own noobs in your favorite strategy title. Western Digital’s high-capacity, affordable My Book series is an excellent way to add storage to the Chronos without replacing an internal hard drive. Our Chronos review unit came with a three-year parts replacement and free shipping warranty. This is not standard, but rather a $270 dollar upgrade; the standard warranty is for one year with only 45 days of free shipping, but lifetime phone support. Origin’s warranty is average, though some competitors do offer free shipping for one year. Early last year Origin introduced an entirely new, custom chassis design for its Millennium and Genesis towers. It did a lot to make the company’s rigs stands out, but the Chronos didn’t receive the same treatment, and it shows. 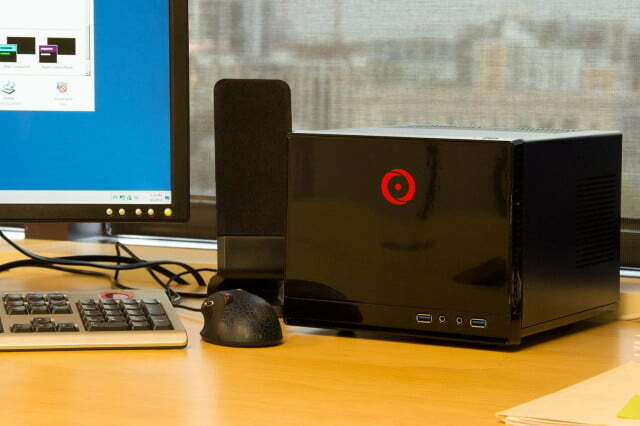 Aside from its size, the system doesn’t stand out: It’s a small, unadorned box. That’s a disappointment. Competitors have upped their game in recent years. 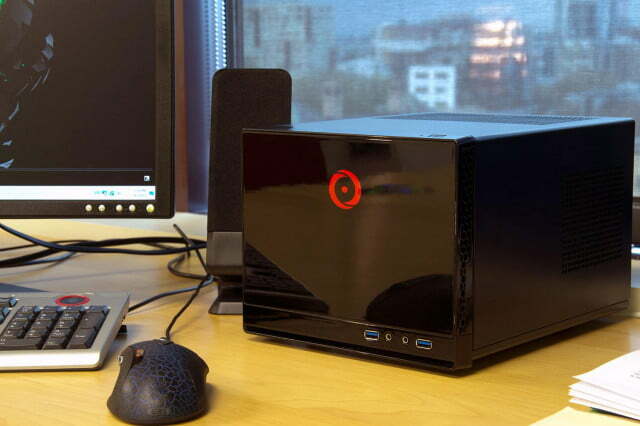 Digital Storm, Falcon Northwest and Alienware, among others, offer their own customized visions of what small form-factor PC should look like, and they make a strong argument for themselves. Unlike the Chronos, they look worth their intimidating price tags. Price, however, is where Origin has the advantage. It charges several hundred less than the competition for roughly similar hardware, which means it also offers the best performance per dollar. A Falcon Northwest Tiki with the same kit, for example, is about $4,100, while the Chronos was $3,700 as-tested. Is the Tiki’s superior design and aesthetic worth $400? Arguably, but there’s certainly reason to save a few bucks with the Origin.